The great early 16th century German painter Albrecht Durer wrote that Italy has some of the world’s most enjoyable people, and some of its worst scoundrels. Did the Venice that he studied in for 2 years have its share of Pavarotti’s and Berlusconi’s, or was he feeling culture shock? The town he was from, Nuremberg, was dominated by plain and hard-working merchants. But he was now seeing more color and variety than he ever had, and maybe he was thinking in terms of extremes, like a lot of bewildered new immigrants. Venice fascinated a lot of people during the Renaissance. Shakespeare portrayed it as a bastion of civilization in Othello. Ben Jonson used it for the setting of his dark comedy Volpone, which wickedly lampoons human greed (it should be required reading for every finance major). Venice still captivates millions of tourists. 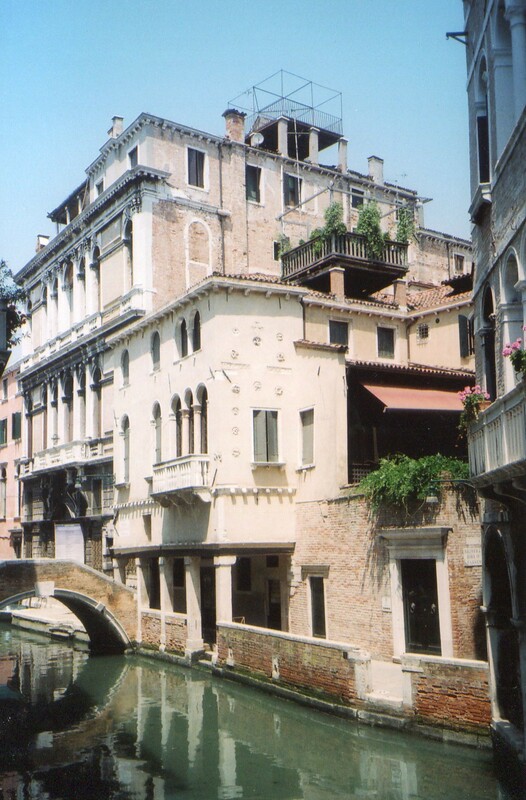 So we’ll look beneath its glittering surfaces–into what people were thinking in those densely packed homes, and into Venice’s impact on Western culture. 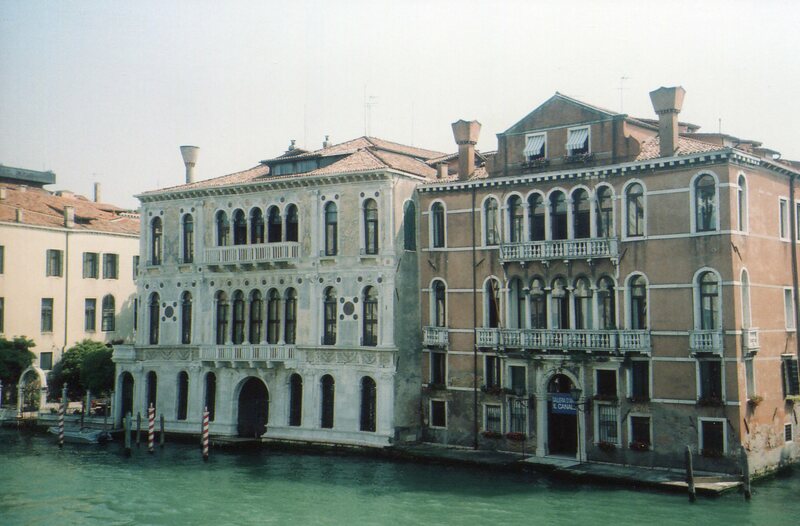 Venice enjoyed a lot of new prosperity in the 15th century, and its rich merchants commissioned much art that used ancient Greco-Roman forms–these forms became signs of well-being, and they were thus reinforced as basic in Western culture. 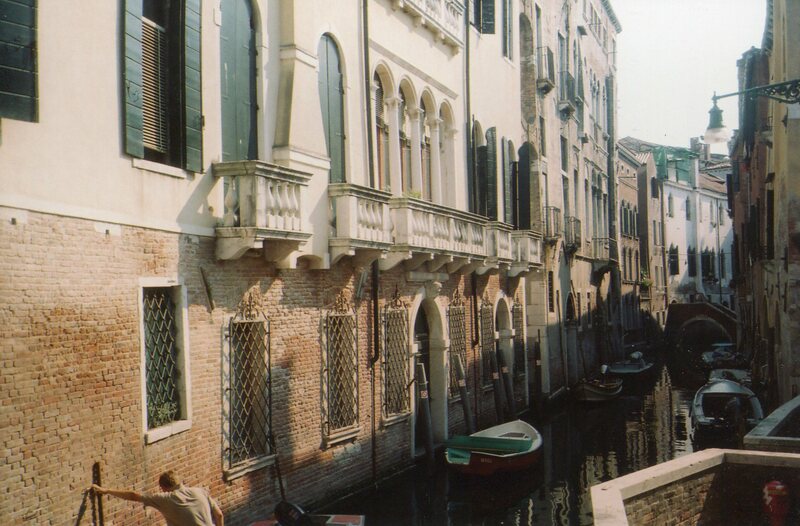 Venice’s Canals Part 1 focuses on this sunny side of the canal. But not everything was going so well. 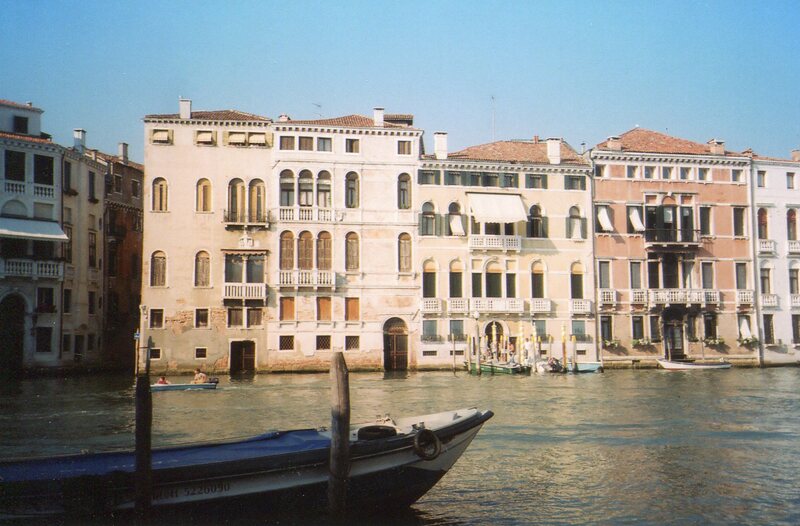 Venetians also had a lot to worry about. 1. Milan was amassing a land-based empire to the west. 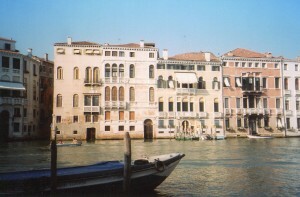 Venice was growing on the mainland on the eastern end, so both cities were on a collision course. But Milan had a more powerful army. 2. 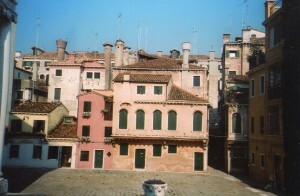 Muslims took control of Constantinople in 1453, and Venice faced the loss of its eastern markets. 3. The Portuguese fleet under Vasco da Gama sailed around Africa’s Cape Of Good Hope in 1498, and on to India. Venice now had stiff competition for its eastern trade. Venetians could formerly look out at the boats knifing through its canals surrounded by opulent homes and feel that it ruled the seas. Now the very water they lived in could remind them of a formidable rival. 4. Anxieties about the Portuguese set off a banking crisis when their depositors immediately demanded their holdings. Several banks failed. 5. Envy was doing its work. France’s King Louis XII, Emperor Maximilian and the Pope formed the League of Camrai against Venice, and routed her at Agnadello in 1509. 6. A lot of intrigue seethed beneath Venice’s glamorous surfaces. 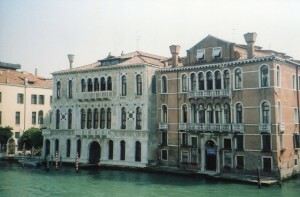 Its government, in the Doge’s Palace, which was designed as a paragon of good rule, sent professional spies all over the city to watch over its people. Anyone suspected of disloyalty could be tried and marched across the Bridge of Sighs into a stone jail full of dank cells. 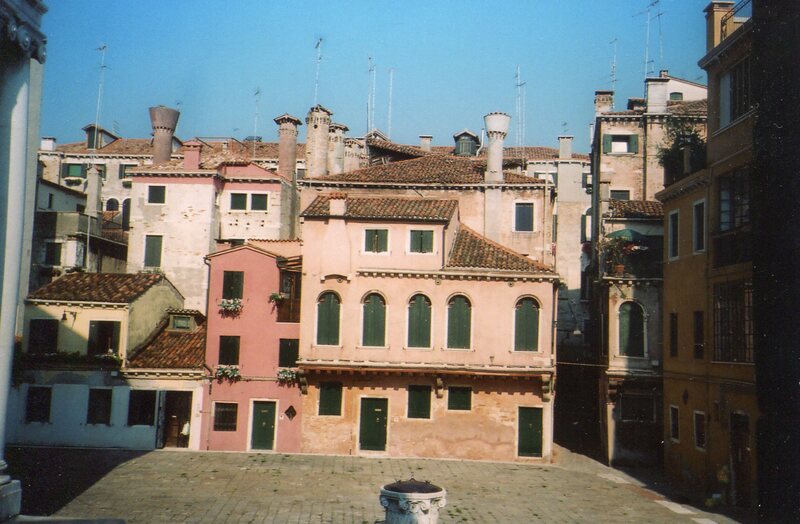 Venice’s neighborhoods were tightly-knit. Many formed scuole–associations of folks who looked after each other, and who often shared a common trade. They met for prayer sessions, collecting money for the needy, and organizing masses for sick members. People in Venice watched each other closely–for good and for bad. The clear proportions that Venetians were adapting from Rome and Florence thus stood out from backgrounds that often threatened danger from envy, intrigue, war, foreign competition and the rough-and-tumble business world. Many dimensions go into a culture’s emphsis on certain ideas and art forms, and emotion is one of them. Westerners have often stressed rationality because they felt it would keep what they feared away. Venice’s upper classes built proportioned homes with Roman arches to show that they belonged in elite circles, and that they stood above the city’s chaos and bustle. But Venice would transform this emphasis on abstract forms into its own style, and it inspired some of the West’s greatest art. Durer returned home greatly enriched–artistically and ultimately financially from the many clients he gained. We’ll explore Venice’s artistic glory in the final post.